Is Your Handbag a Status Symbol? Once again, a BBC radio 4 programme prompted this post; in this case the prestigious flagship news programme, Today. At the end of the programme they tend to have a slightly flippant item (because obviously all the serious folk have gone to work!). To discuss these remarks from one of the most influential women in America they had invited a female UK politician, Glenys Kinnock and an ex politician now pundit, Matthew Parris. Neither of them lightweights so my interest was piqued. At first I was irritated. Here we go I thought, trivialising women again but then my sense of humour reasserted itself. Hillary Clinton had not been asked for her political views; everyone knows she is a serious, well established and committed politician. She was talking to a fashion magazine about the things which made her happy and which, presumably, gave her confidence a bit of a boost. Does it matter? Maybe they were being more stereotypical by asking a gay man on to comment? Sorry to state the bl***ing obvious but men and women are different in this respect. It’s not that all women think clothes and handbags are of paramount importance. It’s simply that some of us get pleasure from them, some of the time (it’s a whole other debate about advertising and brainwashing of young girls etc but that aside, I think women feel differently about these things). Glenys Kinnock proffered the view that at meetings (I think she actually referred to international summits) handbags and shoes could be a great way of connecting, of levelling the ground. 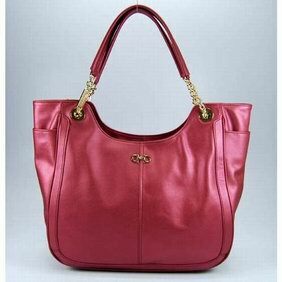 Admiring another woman’s bag or shoes was like extending a hand of friendship. Matthew Parris’ response was interesting and illuminating. He first said his mother hated handbags. But then more interestingly that men would probably not say anything complimentary about another man’s attire or possessions at a business meeting because they would be using bags/wallets/shoes/laptops (paraphrasing now) to convey their status and authority. In other words, they would not want to be facilitative and levelling. They would want to be top dog. What do you think? Are you turned off by discussions about handbags? Do you think it belittles and demeans serious women? Or do you think the world would be a better place if we all carried beautiful colourful bags around? Men too! You know, I think women receive so many negative messages from so many sources every day that it’s always worth the time to share a compliment. Whether it’s about a bag, a pair of shoes, an outfit, a hairstyle, or anything, I try to say something affirming whenever I can. I know I appreciate it, so I’m going to “do unto others” every chance I get! Thanks Allyson, so that’s you and Hillary have something in common! Absolutely agree about saying nice things whenever you get the opportunity! What a lovely post to read at this ridiculous hour of the morning or night. I have many many handbags of various size and colour and I love talking to other women and business women about theirs. Many a conversation has started from admiring some ones Radley bag – as I aspire to own one. I find admiring necklaces a similar kind of ice breaker. All good when networking in a room full of strangers. Don’t you feel good too when someone admires something of yours? It changes your whole approach I think and results in a much more positive conversation. So true! My biggest buzz is when someone says something nice about my work. Especially if I don’t know them! By the way, a good friend of mine gets a Radley bag every year! Wow Jane, fabulous post, thank you for sharing it with me just recently. I think it is really nice to compliment another woman on her bags, shoes, outfit etc if it’s a genuine feeling. I also think women like to be complimented on their choices. I love saying ‘nice handbag’ to someone in the street – particularly when they are carrying one of my designs! Sometimes this prompts a little conversation which is even better. I love hearing my customers comments. Finally, the more colourful bags, the better in my book!